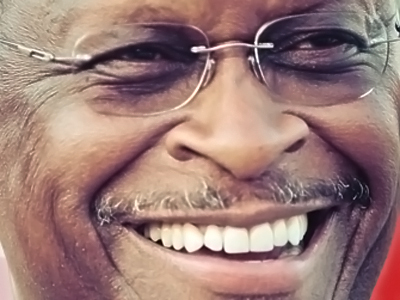 A new chapter has been written for Herman Cain’s memoir “The Things I Don’t Know About Foreign Policy” after the GOP hopeful goofed yet again in an interview on Monday. 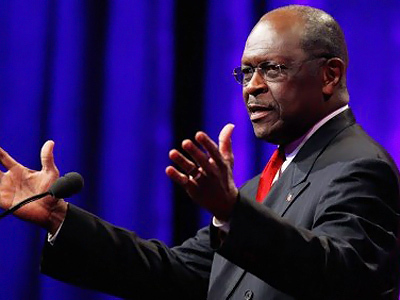 Sitting down with the editorial board of the Milwaukee Journal-Sentinel yesterday, Republican presidential candidate Herman Cain couldn’t quite get the words out to explain his thoughts on the uprising in Libya, one of the most important international events of all of 2011. “President Obama called for the removal of Gaddafi. Just wanted to make sure we're talking about the same thing before I say, 'Yes, I agreed. No, I didn't agree,'" said the candidate. When it looks like Cain is finally ready to tackle the query, he announced "I do not agree with the way he handled it for the following reason,” before catching himself and interrupting his own response to say, "Nope, that's a different one." 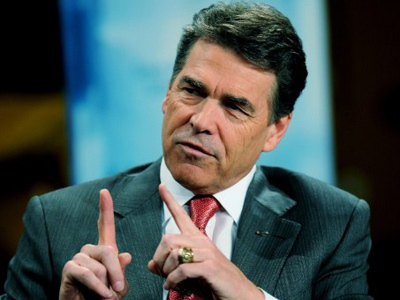 Monday’s incident is only the latest in a series of gaffes that the GOP hopeful has goofed on while attempting to explain his take on foreign affairs. In the few weeks since his candidacy gained steam and skyrocketed him towards the top of the list of Republicans vying for the party’s nod, Cain has time and time again came up short in answering questions on international politics. He warned of China’s nuclear program nearly half a century too late only this month and in October revealed that not only could he name the president of Uzbekistan, but he couldn’t even pronounce the country’s name. 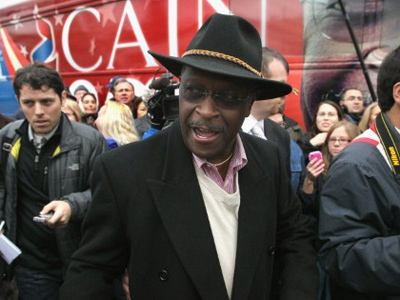 To try to calm the storm brewing after his latest blooper, the Herman Cain camp has stepped up to shoot down allegations that their candidate doesn’t know what he’s talking about. "The video is being taken out of context," spokesman JD Gordon tells MSNBC. 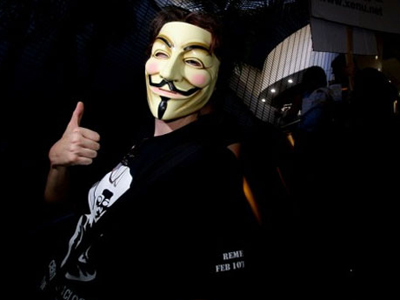 "He was taking questions for about 30 to 40 minutes on four hours of sleep. He didn't say anything wrong or inaccurate; it just took him a while to recall the specifics of Libya." 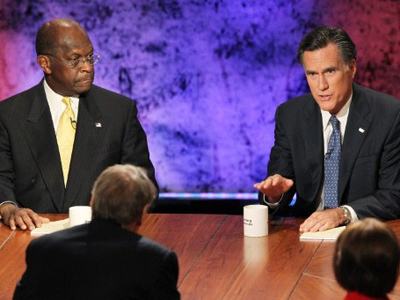 Meanwhile, Cain had no problem tackling the tough questions. In the latest issue of GQ Magazine, Cain is quick to quip on how the pizza makes the man in America today. 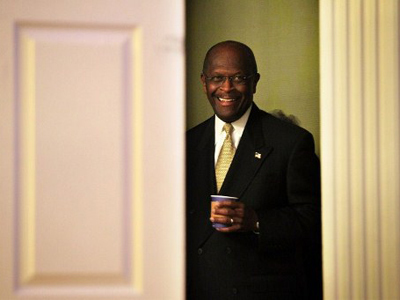 In case you forgot, Republicans have consistently placed Cain in the top-three of likely candidates for the 2012 nomination in polls conducted by NBC News, Wall Street Journal, CNN and Bloomberg in the last week.